There is a land, between the Adriatic and the Dolomites, that stretches from Conegliano to Valdobbiadene with alternating slopes and medieval villages. Here, mother nature wished that there were the ideal conditions for growing the Glera variety and producing Prosecco. This is my land. 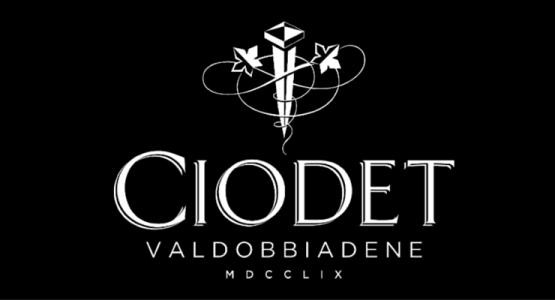 The land where Prosecco is Superiore, protected by the controlled and guaranteed denomination, the DOCG. 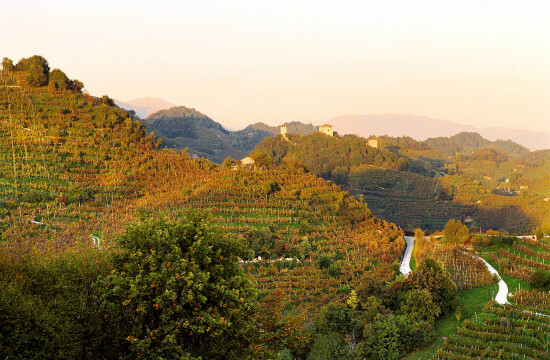 There are overall 6.000 hectares of land cultivated with vines, spread over 15 commons that define a half-moon shape, from Valdobbiadene to Conegliano. These are hills that evoke the history of generations of wine makers, of rough hands that work everything strictly in an artisanal manner, of eyes looking upwards and observing skies that may be too clear and threatening big clouds. And again crates full of grapes, vats in fermentation and finally, in the squares of our villages, the deserved rest with a glass of wine. 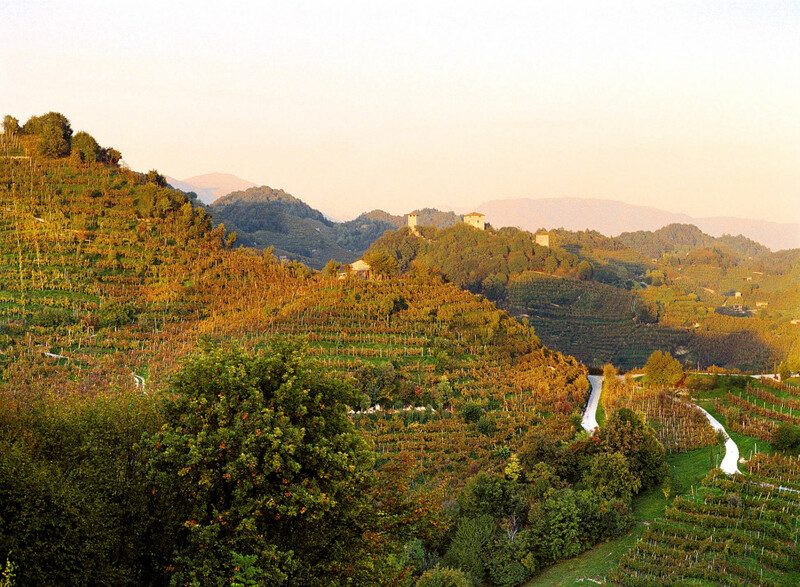 One can’t live in these hills, in the land of Valdobbiadene Prosecco Superiore DOCG without falling in love with it. It is a wonderful land. And perhaps this is also why our wine is so good.